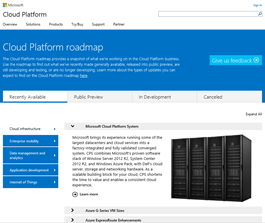 The Cloud Platform roadmap provides a snapshot of what we’re working on in the Cloud Platform business. Use the roadmap to find out what we’ve recently made generally available, released into public preview, are still developing and testing, or are no longer developing. Learn more about the types of updates you can expect to find on the Cloud Platform roadmap here.